Grey corner bumpers with matching strip bumpers provide 100% protection to the full perimeter of equipment. 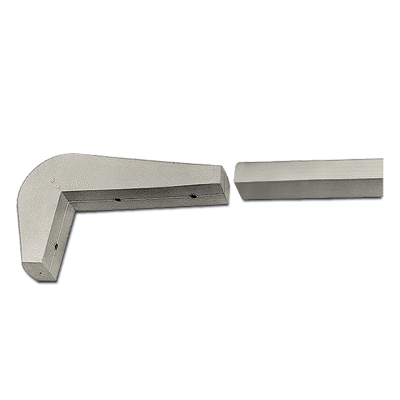 Strip bumpers are made with flat steel inserts for permanent attachment. Inserts in strip bumpers are not predrilled. They can be easily cut to size with a hacksaw and drilled as needed. It is important to select a floor lock model that clears the floor when retracted. To adapt a floor lock brake to your present equipment, select a model with an extended height 1/16″ to 1/4″ greater than the overall height of the caster.